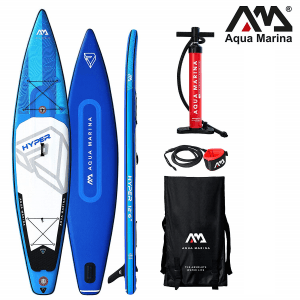 Inflatable all-round stand-up paddle board Monster 12′ from Aqua Marina is ideal for beginners to intermediate riders. 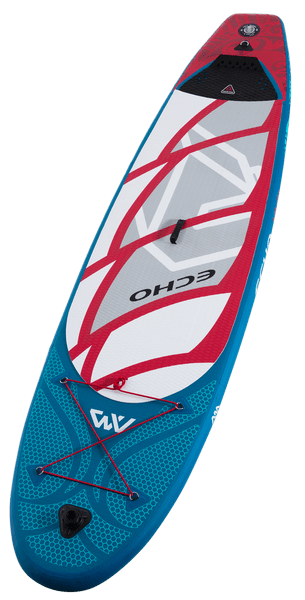 Echo is a thinner version of the 6″ thick BEAST model latest addition to Aqua Marina in 2018 range. 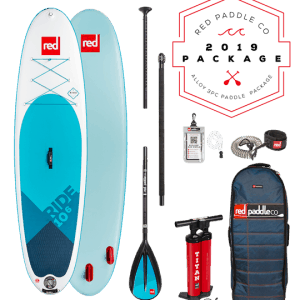 It’s 32” wide and 4” thick, which makes it a very stable and enjoyable platform for smaller riders up to 80kg, or bigger riders for surfing. 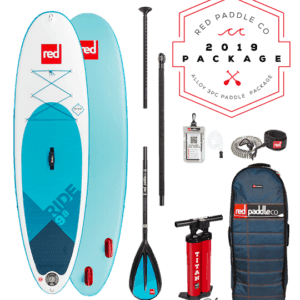 It is perfect for all levels recreational paddlers and we feel comfortable riding this board in flat and a little choppy conditions. Its a great choice for a small surf, although we have taken this board out in a bigger swell as well with riders up to 90kgs. 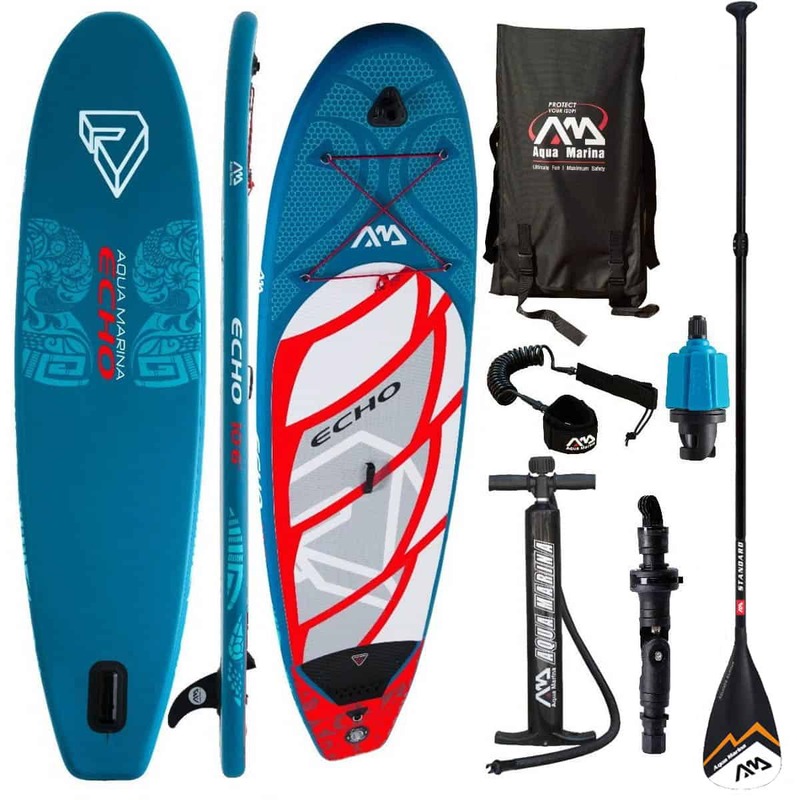 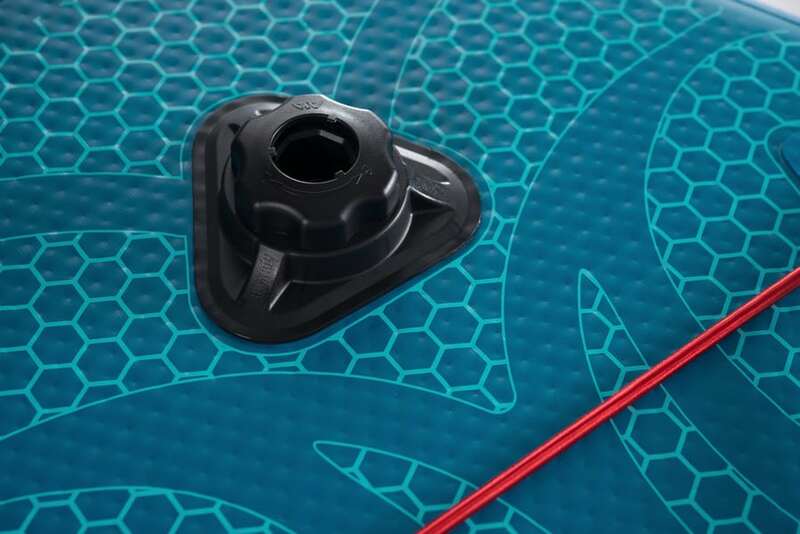 This year model have been strengthened with SuperTough Dual Stringer (STDS) technology, making the board extraordinary rigid yet lighter with superior stroke power, control and balance. 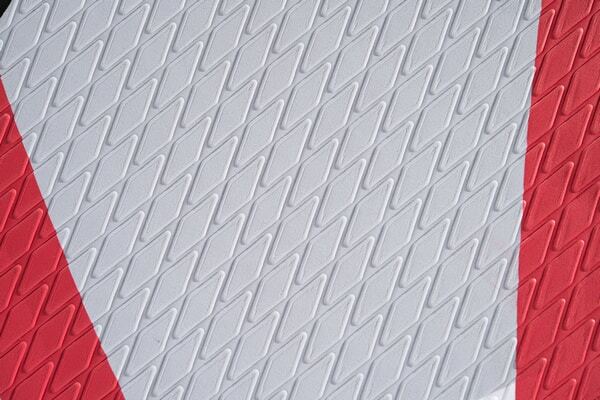 The top deck of the ECHO is covered by an extended-length, diamond pattern EVA foam traction pad. 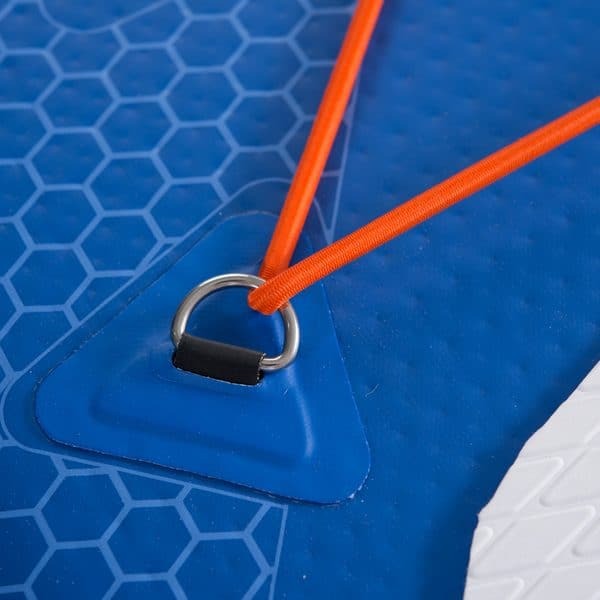 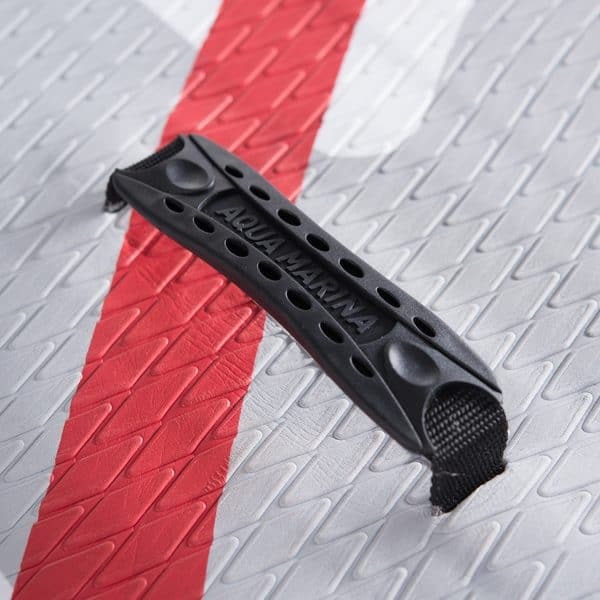 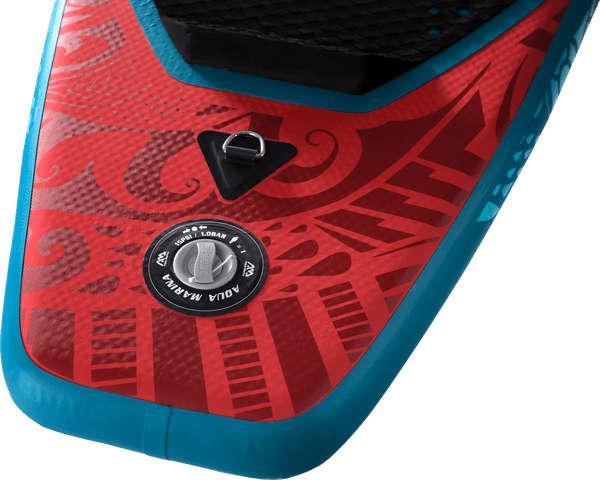 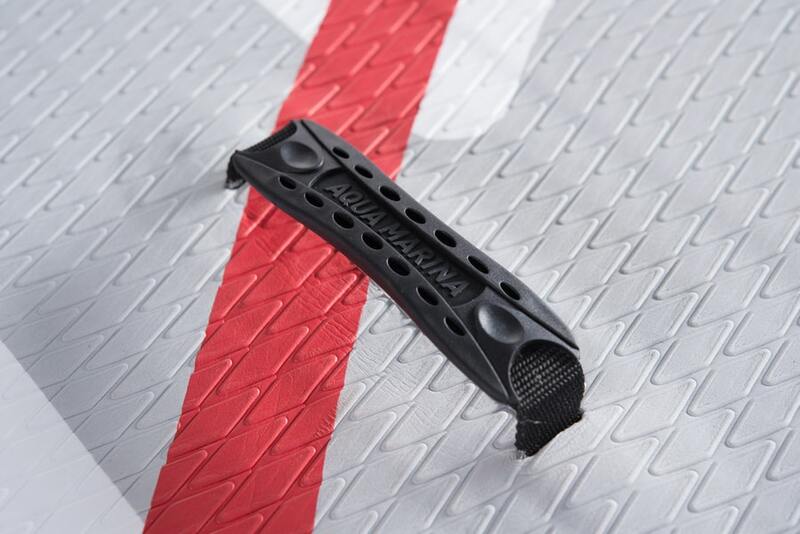 The multi-colored deck pad is super comfortable on the feet, and there is a generously-sized kick tail wedge at the tail which is great for performing pivot turns. 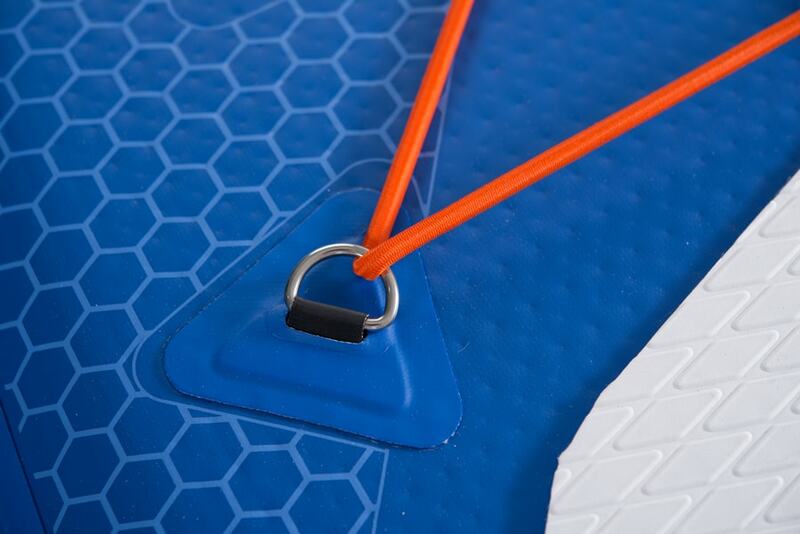 At the board’s nose are four stainless steel D-rings and a bungee cord storage area which is perfect for stashing your snorkeling gear, dry bag, bottle of water etc. 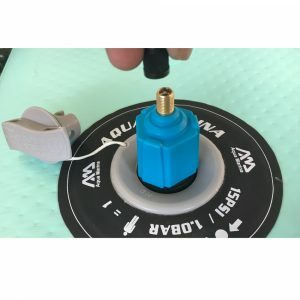 2018 Aqua Marina models now come with action camera mount at the front of board. 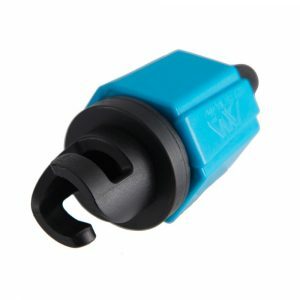 360 degree rotation and easy to adjust to any angle. 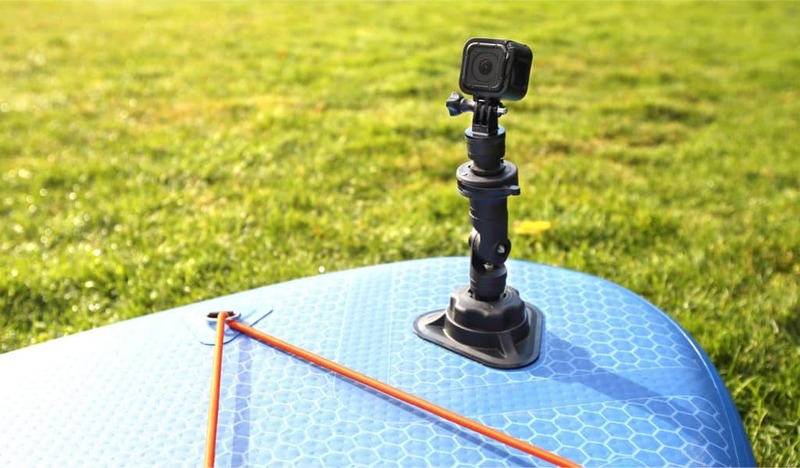 We tried it many times by now in both, flat water and waves, and felt confident it was holding our GoPro securely in place! 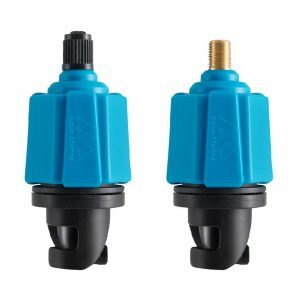 Also those not keen on (not lazy) pumping boards by hand, will find the Valve Adapter handy. 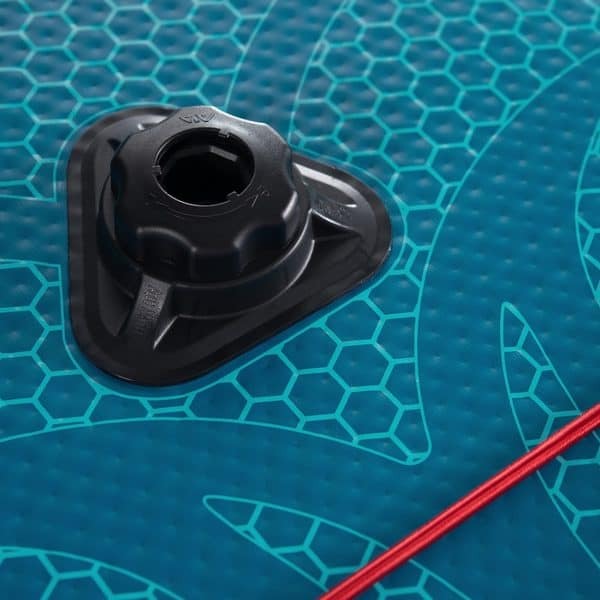 It can be attached to a electric mobile tyre pump or in a garage. If order is placed before 12pm on a week day, board will be delivered the next working day with Nightline courier. 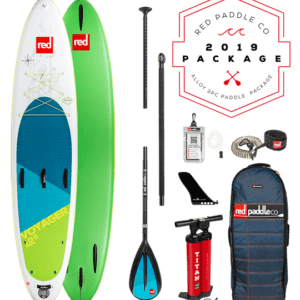 If the board is sold out, we allow a back order and leave a note in a description with expected stock and delivery dates.